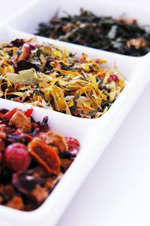 Herbs have a variety of uses such as medicinal, culinary, or even for spiritual usage. For medicinal usage, herbal medicine makes use of the roots, seeds, flowers, root bark, inner bark, berries and sometimes the pericarp. The general usage differs between medicinal and culinary herbs. A medicinal herb can be a shrub or a woody plant, but a culinary herb is a non-woody plant, usually comprising of the leaves. Any edible fruits or vegetables such as seeds, berries, bark, root, fruits or even leaves can be considered “herbs” in medicinal or spiritual use. Culinary herbs are noted from vegetables where they are used in small amounts and provide flavor to the food rather than substance. Some herbs do contain phytochemicals. When you consume it in small quantities, it can be healthy and beneficial but can be toxic to the liver if consumed in large amounts. Subscribe to receive latest news of herbs from our Company!